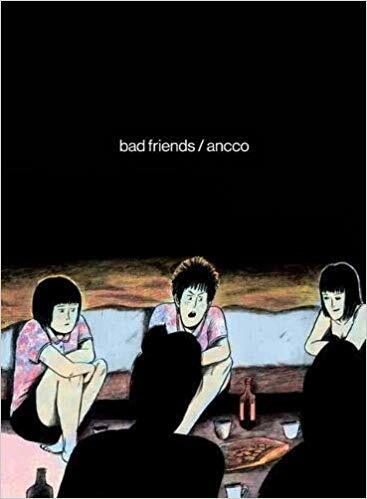 bad friends by ancco. Translation by Janet Hong. Drawn & Quarterly, 2018 9781770463295. 173pp. 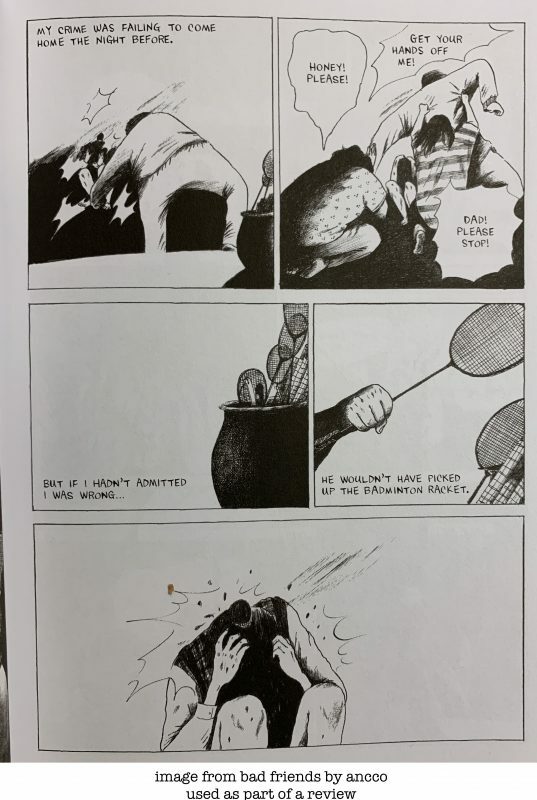 I always suspect there are great, gritty Korean comics out there, but too much of the time the only manwha I can find on the shelves in US bookstores look like standard anime. When I taught in South Korea I had almost no contact with the “bad” kids. Instead I was locked in a cycle of teaching academically oriented students and adults trying to improve their English. The only time I seemed to be able to talk to anyone whose life didn’t revolve at least partially around extracurricular tutoring was during shared taxi rides, and then only if they weren’t too shy to chat. 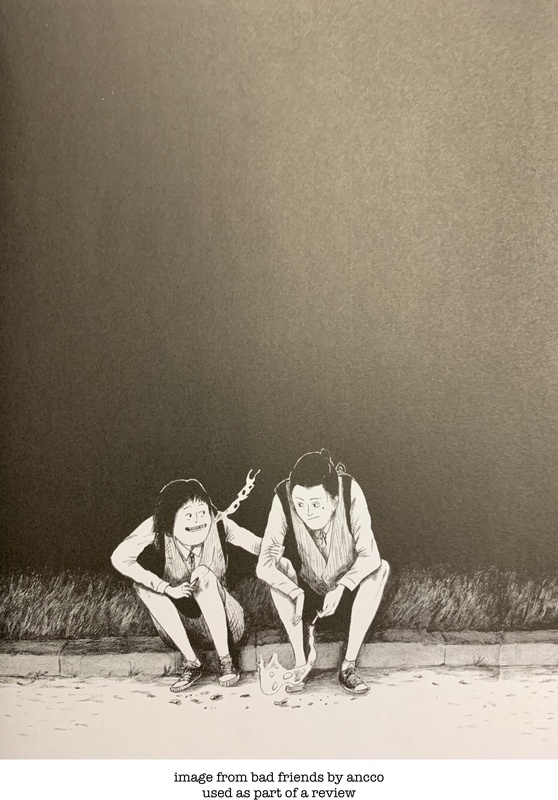 On both counts it was great to read this beautifully rendered, dark graphic novel about less-than-successful high school students. If you like the sound of this, I also highly recommend Kang Doha’s The Great Catsby, which is available in English and was the basis for a Korean drama. It’s not quite as dark as bad friends, but on the plus side the characters are cats.